A new range from a familiar stable. JAH45 is the brainchild of the newly formed Hellshire Club….or more specifically its CEO Carl Stephenson. Carl, a former executive of J Wray & Nephew is also the guy behind the excellent Elements 8 Range and their Republica Rum was reviewed here. 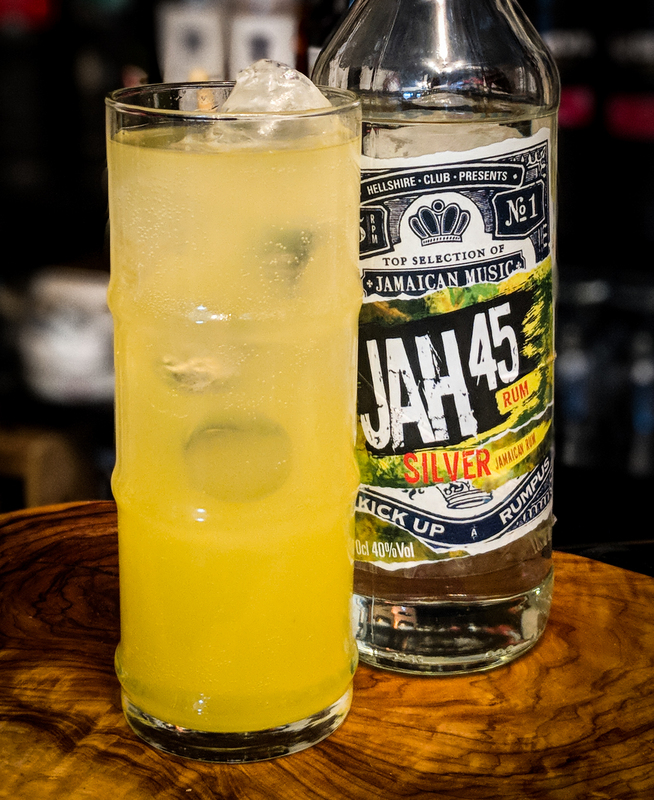 But this article is all about JAH45 Jamaican Rum. Origin wise the whole marketing side of things links nicely to the Rum in the bottle. JAH being Rastafarian for God, though in this instance it is being used as a reference to Jamaica. 45 as you will have worked out relates to 45 RPM speed on a turntable. 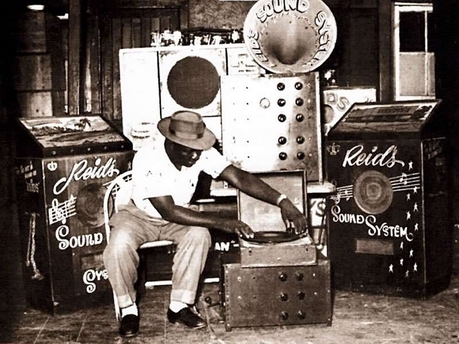 JAH45 draws its origins from the revolutionary sound systems in Kingston during the 1950’s that provided affordable entertainment that was subsequently used by liquor stores to entice customers in to buy Rum. Huge speakers would be set up and DJs would set up turntables and bang out local music. For me it calls to mind artists like U-Roy and Toots & the Maytals. Anyhow, onto the Rum. The range itself will comprise 5 bottlings. The Silver being reviewed today, Gold, Dark, Spiced and Overproof. Again, not too enamored with the use of colour as a classification but given the target market for the bottlings and their insane pricing levels it’s probably the right approach. Insane pricing because the bottles range from £20 to £27 which is priced to sell and be affordable to those wanting to take a trip into the unknown. 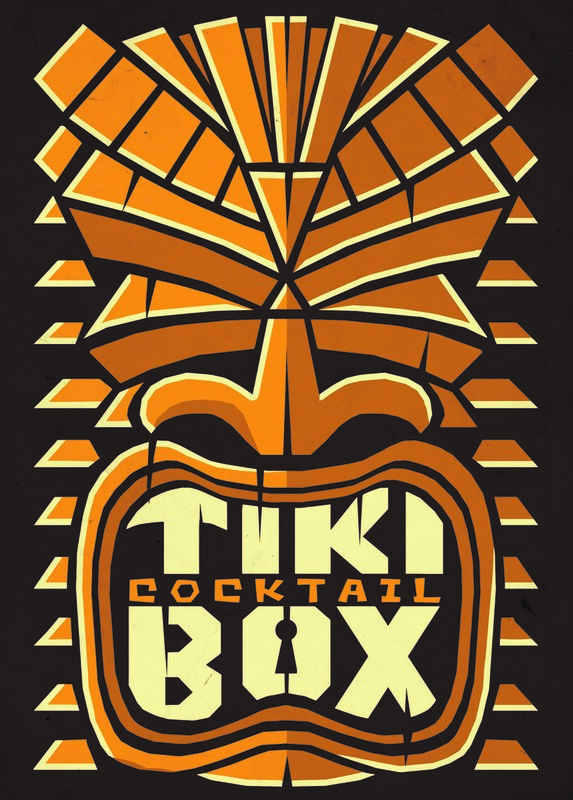 Initially the company approach is the get the Rums into the on-trade and they have already been picked up by the Las Iguanas restaurant group. The liquid in the bottle is a blend of unaged Pot and Column distilled Rums from Hampden, New Yarmouth and Clarendon. New Yarmouth is the distillery that produces W&N Overproof and Clarendon is the distillery that produces Monymusk. Hampden is the distillery that produces pure magic and the stuff of dreams. Nose: Fresh, vibrant, grassy sugarcane. Powdered sugar. The heady intoxicating molasses aroma that permeates a distillery. Light astringency. There is a definite light punch of pot still that is tempered by the column component to merely a gentle slap. Funk….but really accessible funk. Pineapple syrup. Foam bananas. A little menthol nose. Pear drops. Wet cardboard. Really pleasant and whilst it has that magical Jamaican edge that we crave, it’s not at all scary for those new to Jamaican Rum. Mouth: A near perfect translation from nose to mouth. Sweet entry. Oilier than expected. Light tropical fruit. Pineapple, guava, mango. Fresh banana. A touch of liquorice. Something vaguely herbal. It has way more going for it than a £20 bottle should do, and it packs way more authentic and true flavour than a lot of Rums twice its price. Now obviously you won’t be drinking this neat, though that’s how I managed to clear close to a quarter of the bottle….getting to know it. I know for a fact that when thrown into a Daiquiri with a drop of Banane du Brésil, greatness ensues. But I’ve been enjoying it as a long drink with Ting. No measures, just feel it. Makes a banging drink. I want to taste more pot still…but its a double-edged sword. More pot still would equal greater expense and that is not the intention here. 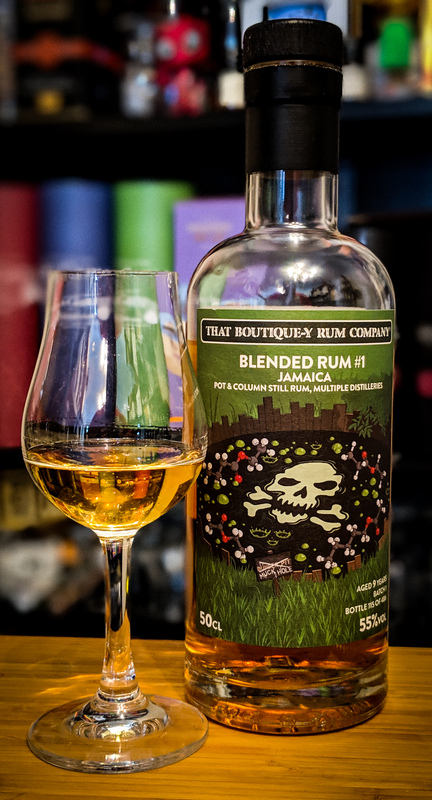 There is enough interest here to hold my gaze for a while and really with all of the super premium fancy bottled stuff being hawked to consumers for extortionate prices, what the Rum world needs is accessible true, interesting Jamaican rums that have not been messed with. Yes you have the Appleton range but whilst relatively inexpensive are a little light on the vibrant pot components. This isn’t. This has just enough pot still to lift it above the close competition. I’d love to see these Rums with supermarket availability. 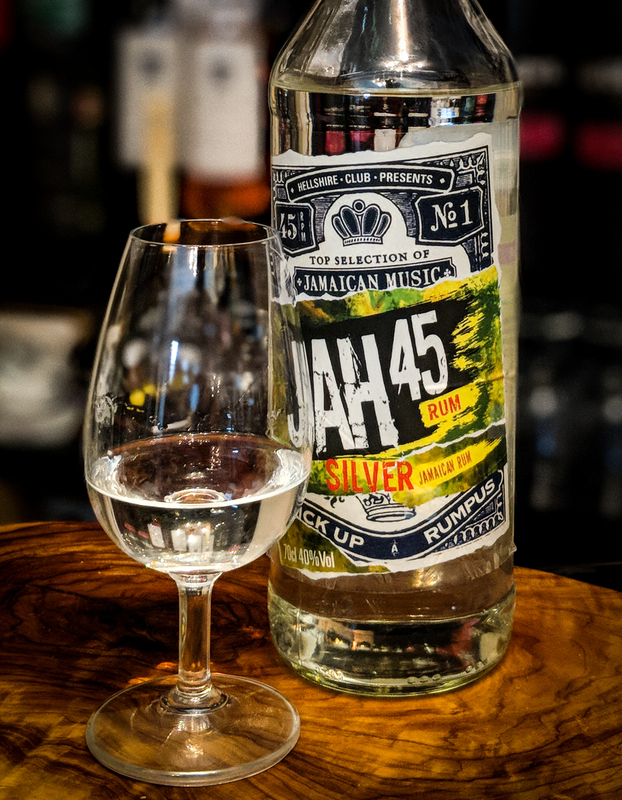 I see its direct competitor as Appleton White, and in my opinion the JAH45 Silver kills it. 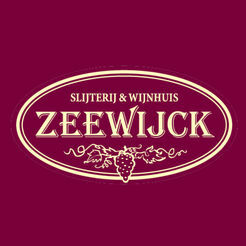 For £20, this much flavour, honest origins, and no funny business…..its a must buy.